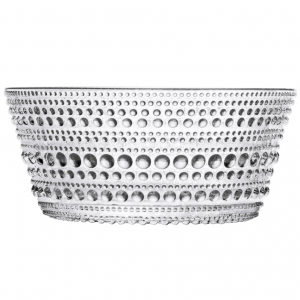 An elegant serving bowl that is made of glass and decorated with a bead glass design. It’s dishwasher safe and can be used for a casual or formal dinning setting. Makes a wonderful holiday or wedding gift!